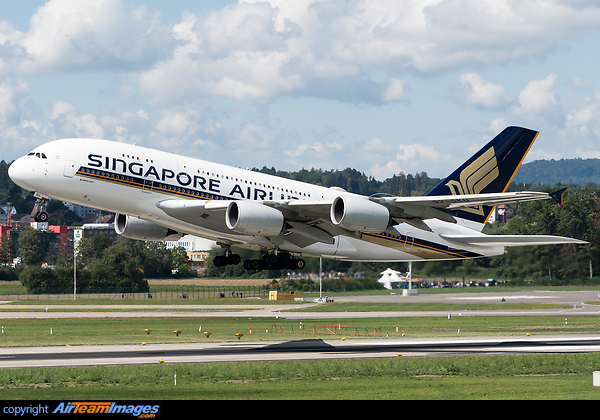 The Airbus A380 is a four engined long range wide-body airliner. It is the largest airliner in service, with 2 full length decks available for passengers. Features fly-by-wire controls and a glass cockpit fitted with side control sticks. 4 x Engine Alliance GP7000 (81500 lbf) or Rolls Royce Trent 900 Series (80000 lbf) turbofan engines. Engines used are all in the 70000lb thrust range.